Personalized medicine is meant to benefit patients either by a better stratification of patient groups or by tailoring therapies to individual patients. This looks like a close connection between patients and doctors. However, enabling this interaction as part of personalized medicine involves many different fields and interest groups far beyond doctors and their patients. 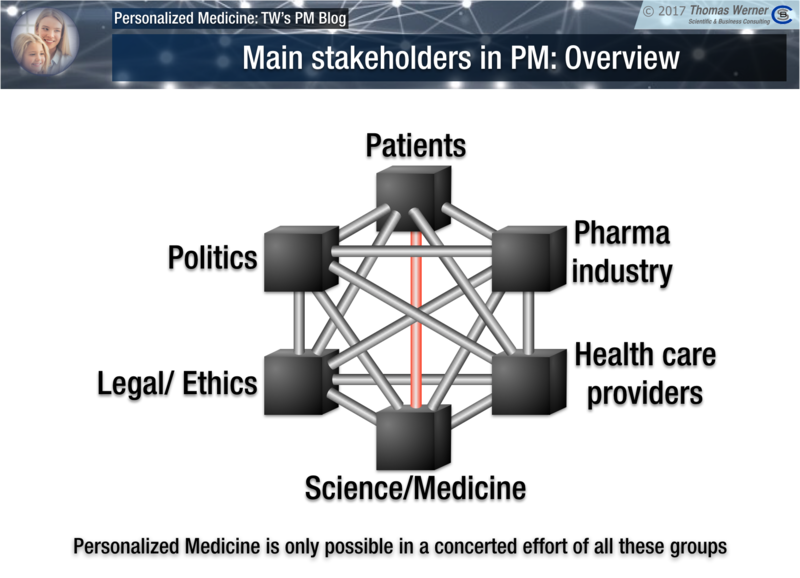 Looking at all the stakeholders who are either directly involved in personalized medicine or have vested interests in that field almost reflects the whole society. As shown in Figure 23 I divided the stakeholders into six major categories. These will serve as the overarching structure to highlight the individual groups and their interactions with the other groups. Of course, some interactions are naturally stronger than others (e.g. patients will interact much more with their doctors than with politicians). Legal / Ethics - We as a society subscribe to a common ethical code (although, unfortunately, this does not hold for all individuals). Ethics is there to define our stand on old and new issues and the legal system has the dual role of allowing progress while simultaneously safeguard society agains abuse of new developments. Politics - last not least. Our government, our parliament and to some extent every individual elected delegate set the frame within which everybody else has to and can operate. 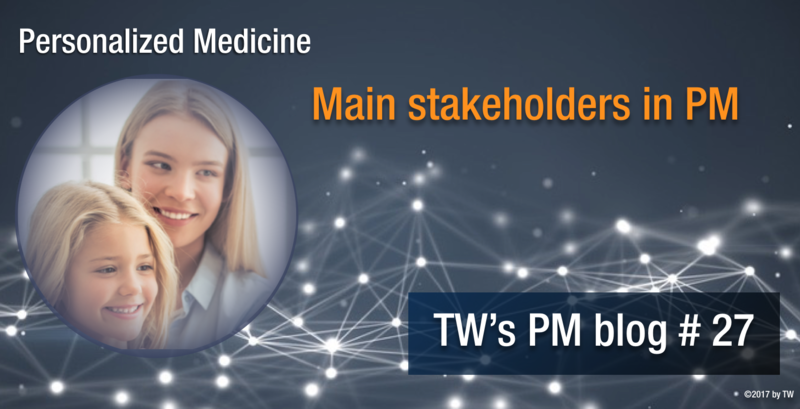 Next week I will start this part of the series with the largest and most diverse group of stakeholder - all of us the patients.